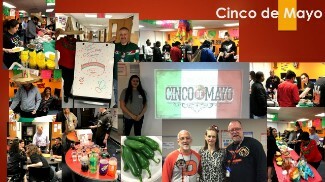 The Phoenix Academy celebrated Cinco de Mayo with traditional food and a lesson on the meaning of Cinco de Mayo. Our students planned, organized, and presented the celebration. A special thank you to Mrs. Williams and Mr. Rios for their sponsorship and guidance in making today a great celebration! !